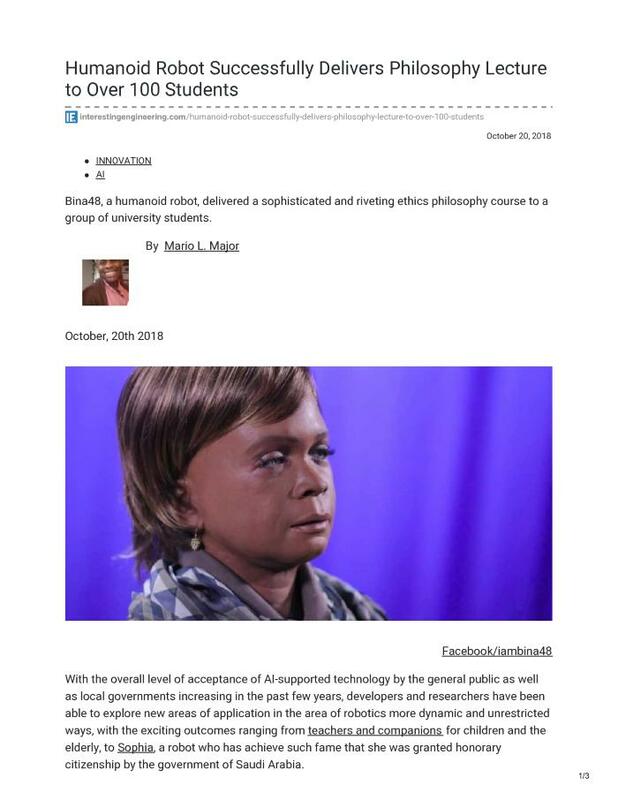 An experiment carried out at the U.S. Military Academy at West Point involving Bina48 looked at how the female bot would do in delivering a lecture in a real university setting. And the results were better than expected. In terms of preparing Bina48 for her lecture, she was prepped with information on the topics to be covered for the lecture beforehand by AI developers: they carefully chose the information to ensure that a presentation of generic facts didn't occur. Most importantly, the bot was able to draw upon this information and answer, out loud, any questions a student had. Thanks to the solid preparation, there was a rather lively interaction in the classroom.